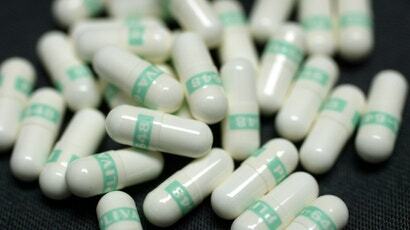 A common antidepressant, sold under the brand name Prozac, could be helping some bacteria build resistance to antibiotics, suggests a new study from Australia. The study, published in Environment International, found that fluoxetine was capable of inducing antibiotic resistance in laboratory strains of Escherichia coli. Fluoxetine is a selective serotonin reuptake inhibitor (SSRI), a class of drug that prevents certain neurons in the brain from reabsorbing serotonin, a neurotransmitter. People with clinical depression often have less serotonin freely available, and SSRIs boost these levels, helping treat the condition to some extent. In recent years, though, there’s some research showing that SSRIs such as fluoxetine can also kill off bacteria and other microbes, sparking interest in them being used as a new type of antimicrobial. But the flip side to this realisation is the theoretical worry that fluoxetine can foster antibiotic resistance in the environment, since some of the drug ends up in our sewers after it flushes through our bodies. The current study is touted as the first to test out that theory. The researchers exposed an antibiotic-susceptible strain of E. coli to different concentrations of fluoxetine. Then they gathered the surviving bacteria and placed them on petri dishes containing a mix of antibiotics. The bacteria that lived through the fluoxetine bath were quick to develop mutations against the widely used antibiotics chloramphenicol, amoxicillin and tetracycline, they found. This resistance was also seen against other antibiotics in the same drug class. And much like a typical antibiotic, the bigger dose of fluoxetine the bacteria got, the quicker the surviving bacteria developed resistance. Bacteria can learn to defeat antibiotics in a lot of different ways. And a major reason why antibiotic resistance is so concerning is that many of their tricks can disable a whole class of antibiotics at the same time. Fluoxetine might affect us differently than antibiotics, but it seems to kill bacteria in a similar way to the antibiotics tested in the study, making cross-resistance more likely. When Guo and his team studied the genetics of E. coli exposed to fluoxetine, they found mutations already known to help bacteria resist some antibiotics. These mutations allow the bacteria to essentially spit out a drug before it kills them. “This discovery provides strong evidence that fluoxetine directly causes multi-antibiotic resistance via genetic mutation,” senior author Jianhua Guo, a researcher at the University of Queensland’s Advanced Water Management Center, said in a statement. It isn’t just fluoxetine, either. Guo and researchers elsewhere have already shown that other chemicals not used as antibiotics, such as the antimicrobial triclosan, can indirectly create antibiotic resistance. Triclosan, found in some soaps and toothpastes, is slowly being phased out or outright banned in consumer products in the US, but scientists are concerned its replacements might not be any better at preventing antibiotic resistance. Australia currently does not ban triclosan. At this point, the authors admit, we have no idea just how far-reaching the presence of fluoxetine in the environment could be, nor its full impact on antibiotic resistance. Other research needs to be done to study its effects on bacteria that are more relevant to our health, such as strains of E. coli or other bacteria found in the gut. But despite these unanswered questions, and given how widely used fluoxetine is, there’s a lot to be worried about.